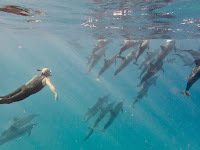 38 Spinner Dolphins joined Maui's Mermaids for a swim this morning. 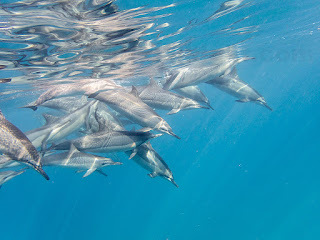 What a treat - my favorite two creatures interacting with each other. 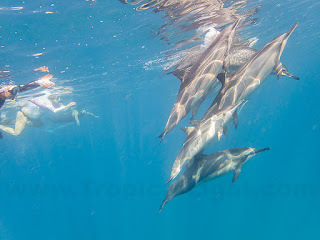 Click HERE for lots more photos of both dolphins and mermaids.